← Creating your first app page! In today’s post we are going to learn how to get the ip address.This is very simple and easy program among all basic programs of java.In this program we are importing the classes “import java.net.InetAddress”,”import java.net.UnknownHostException”.Here we are declaring a variable for InetAddress class. 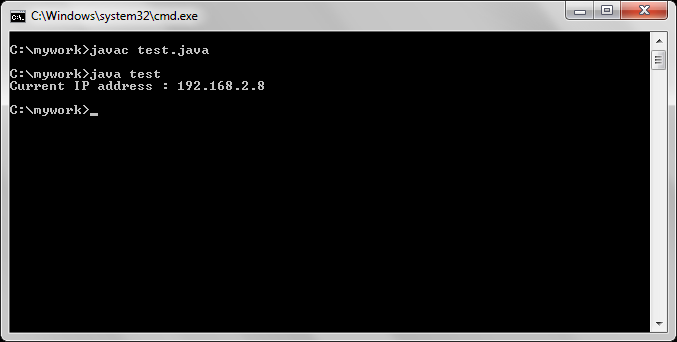 This variable is used to store the ip address. If any Error is occurred then we need to handle those errors.For this we are including the try block and catch block to handle these errors. This entry was posted in Java and tagged java code to get system ip address, java program to find ip address of remote machine, java program to find ip address of remote system, java program to get ip address from hostname, java program to get ip address of remote computer. Bookmark the permalink.